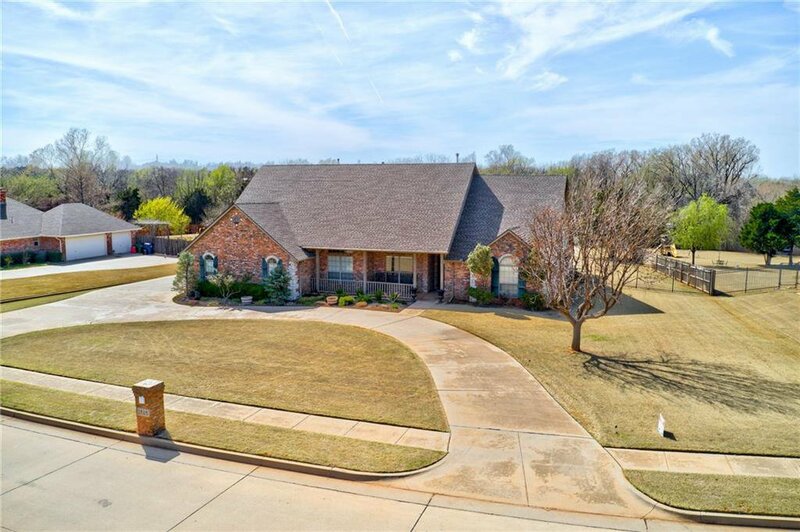 Looking for a home with some elbow room and lots of upgrades while being close to the city? 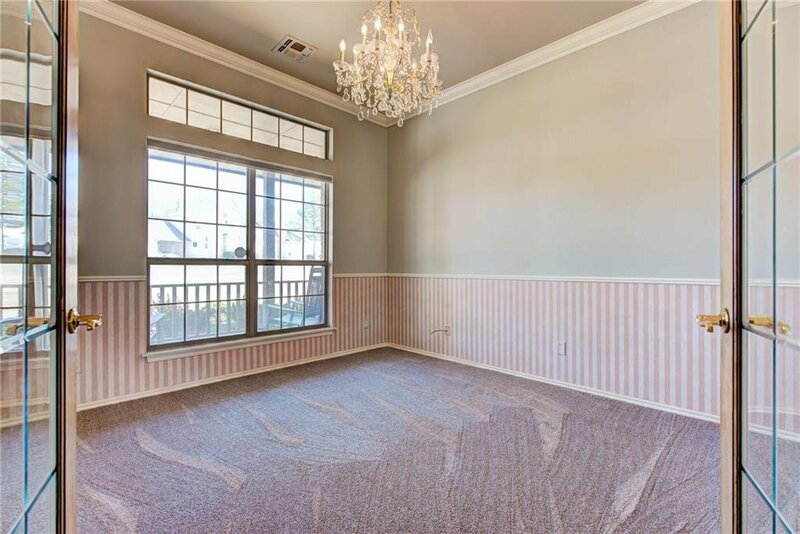 Then look no more! 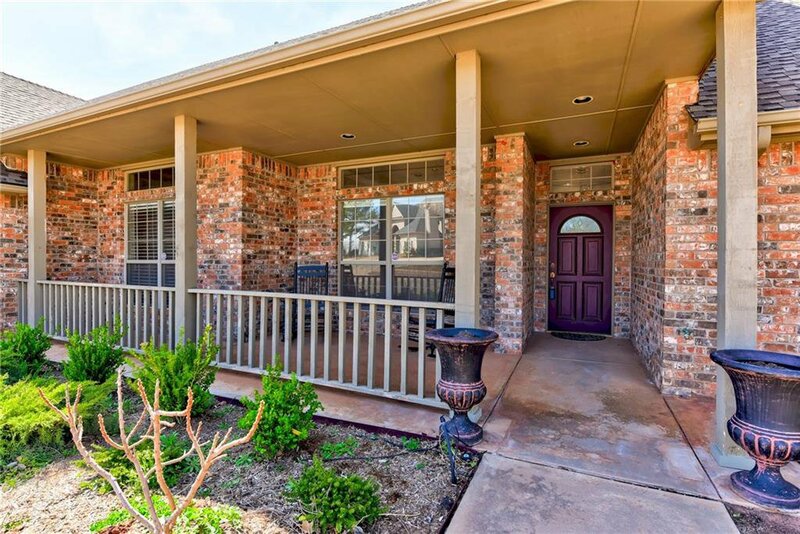 Pulling up you are greeted by the circle drive and large front porch. 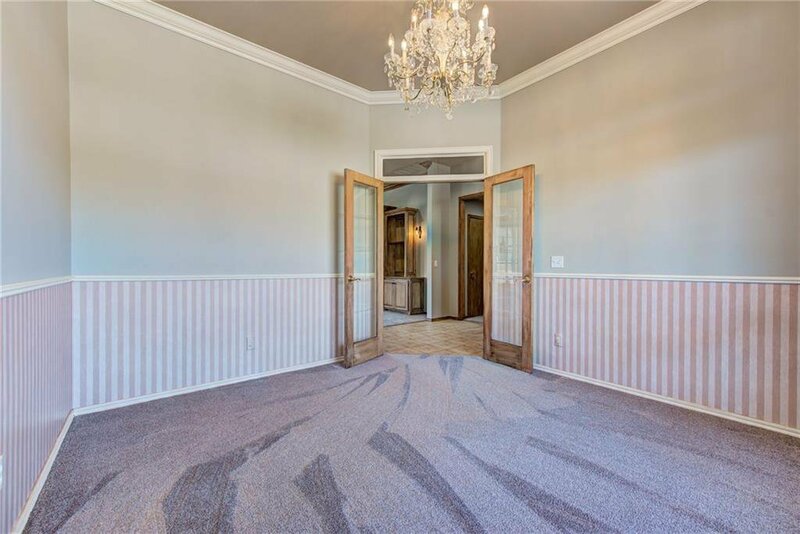 Entering the home you find a large entryway and spacious office. 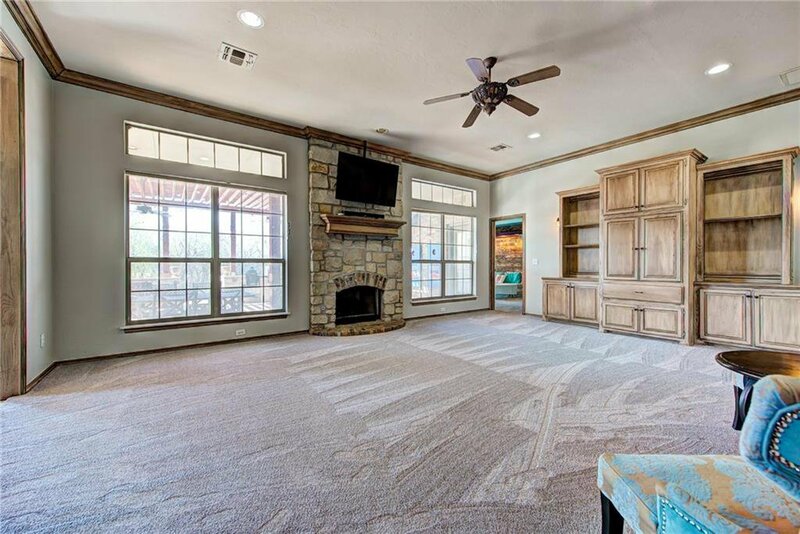 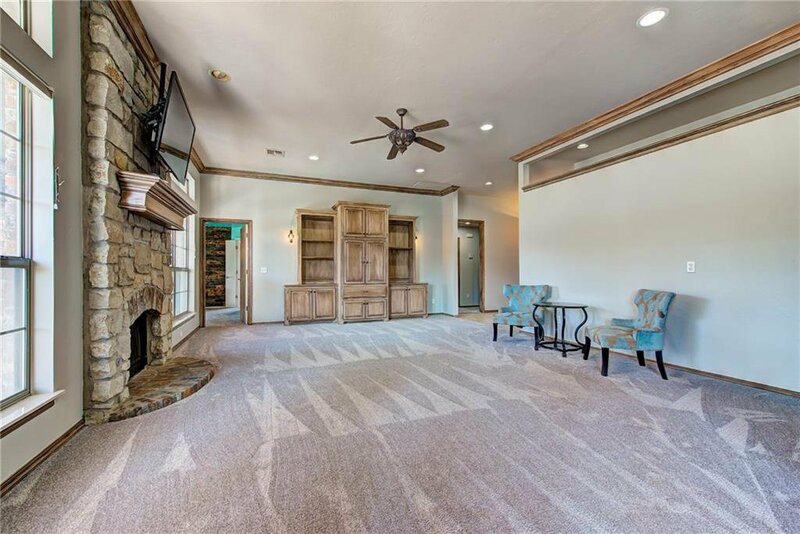 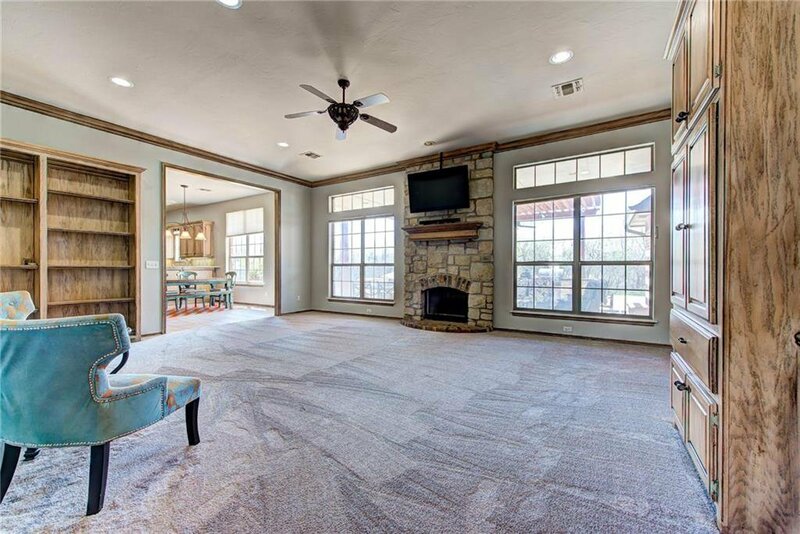 Continuing into the living room you find the stone fireplace plus built-in shelving and entertainment center throughout the room. 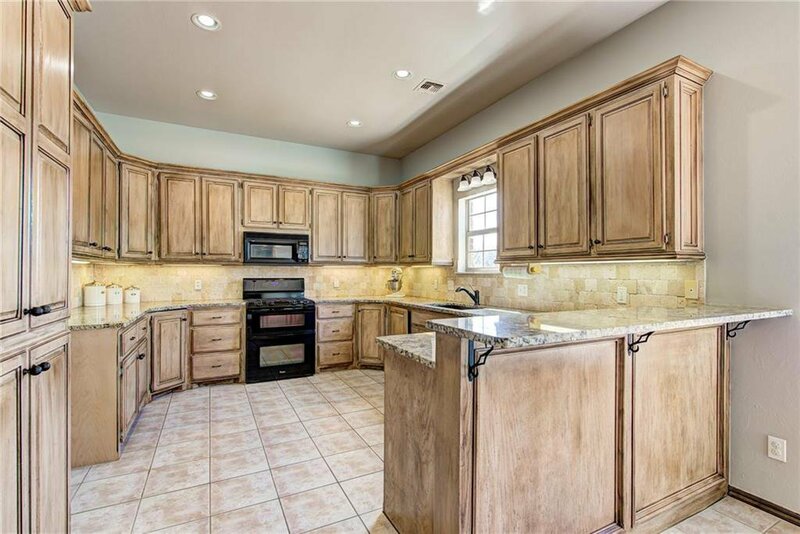 The kitchen has been updated with granite counter tops and stone backsplash. 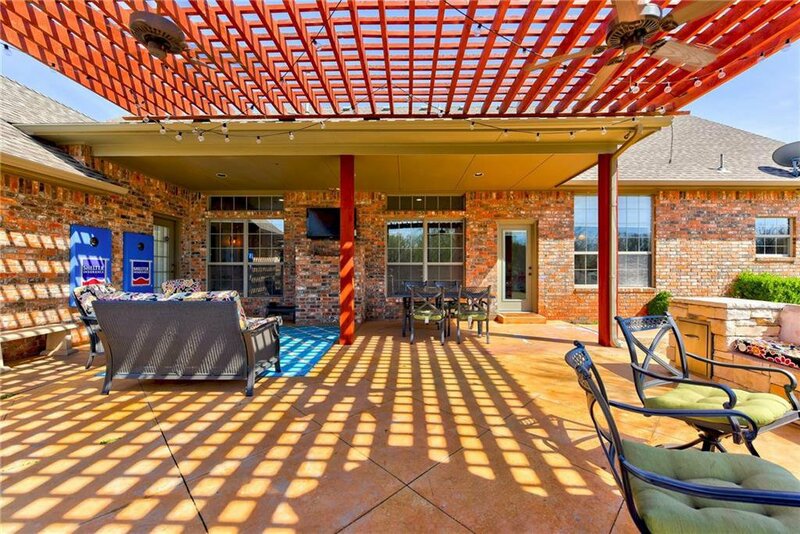 From the dining room, you enter the backyard oasis! 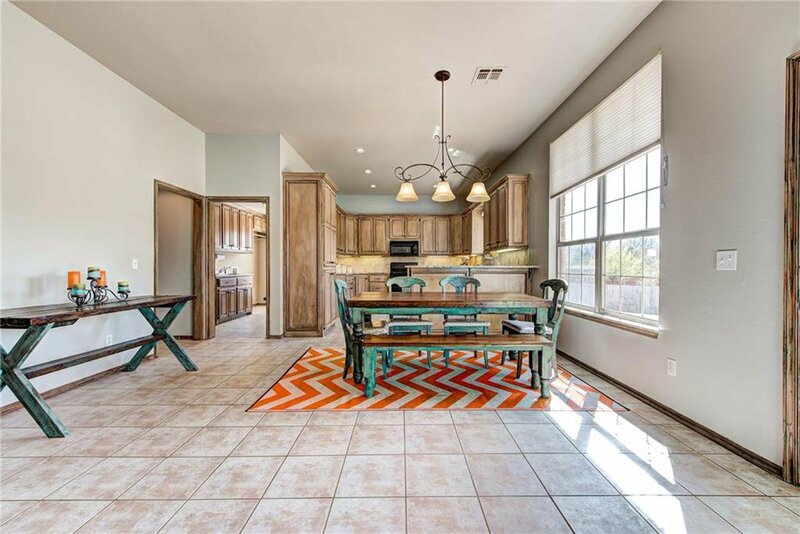 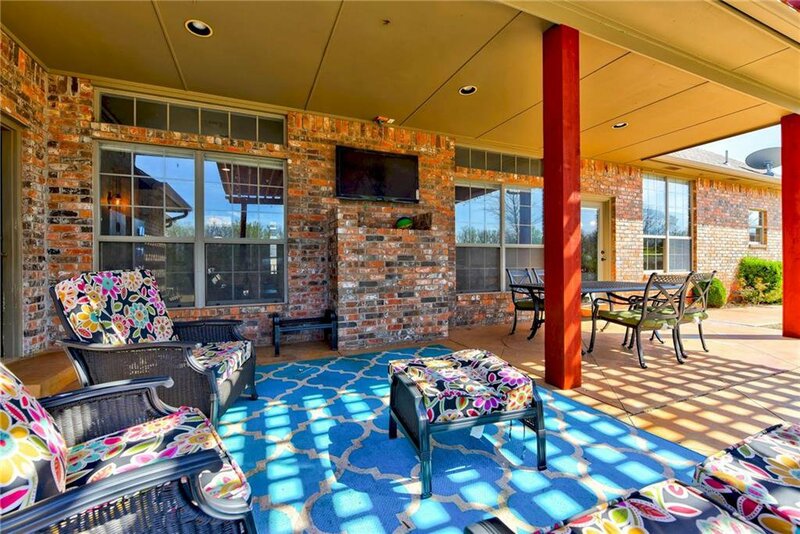 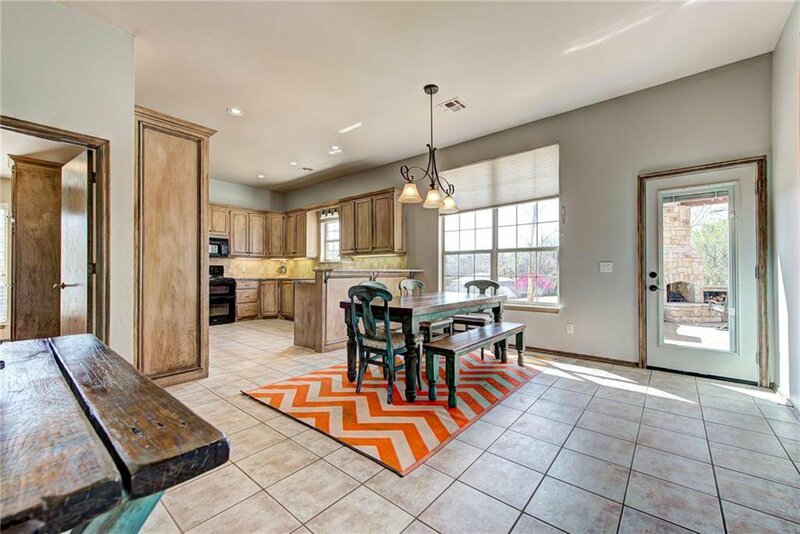 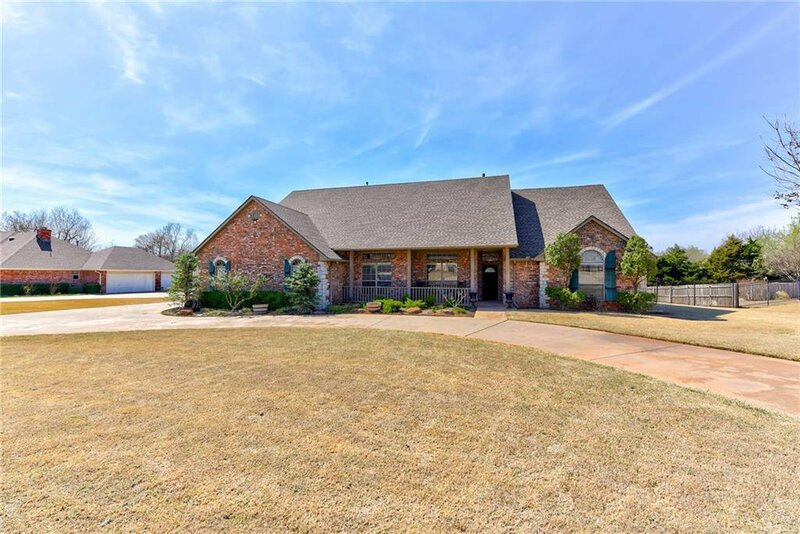 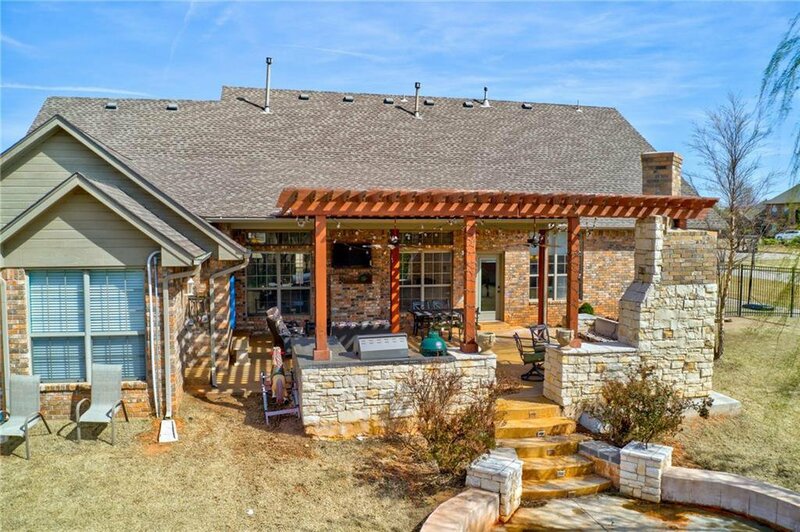 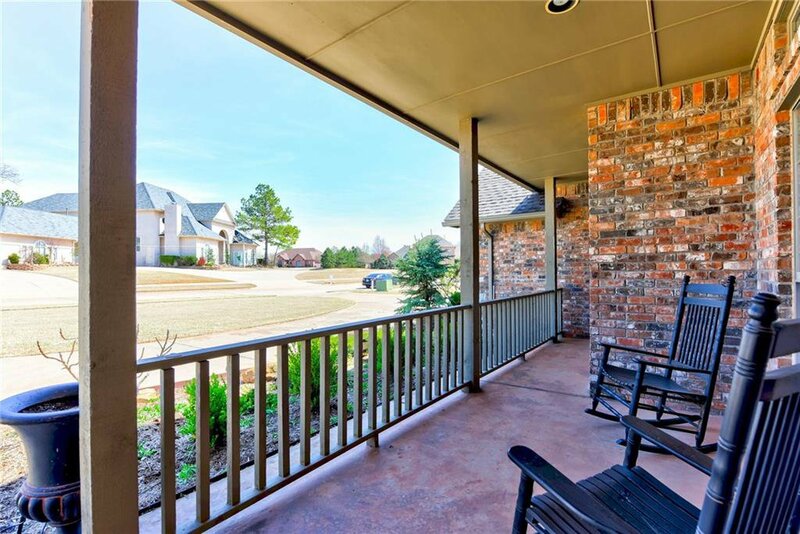 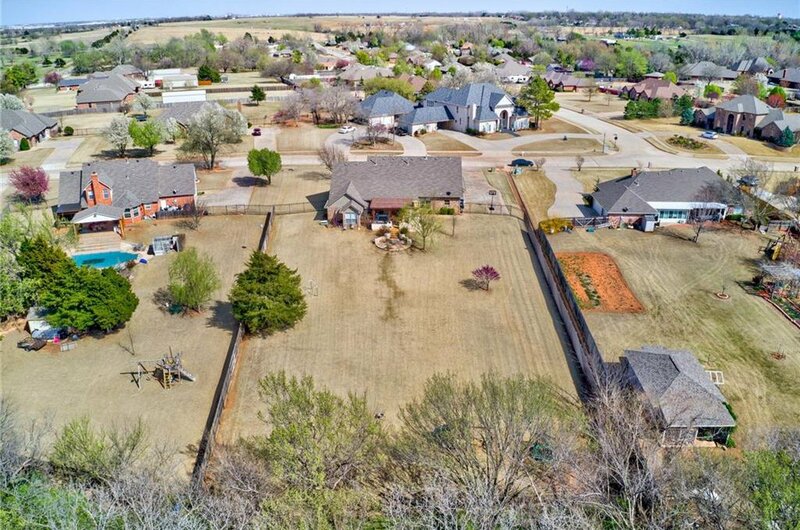 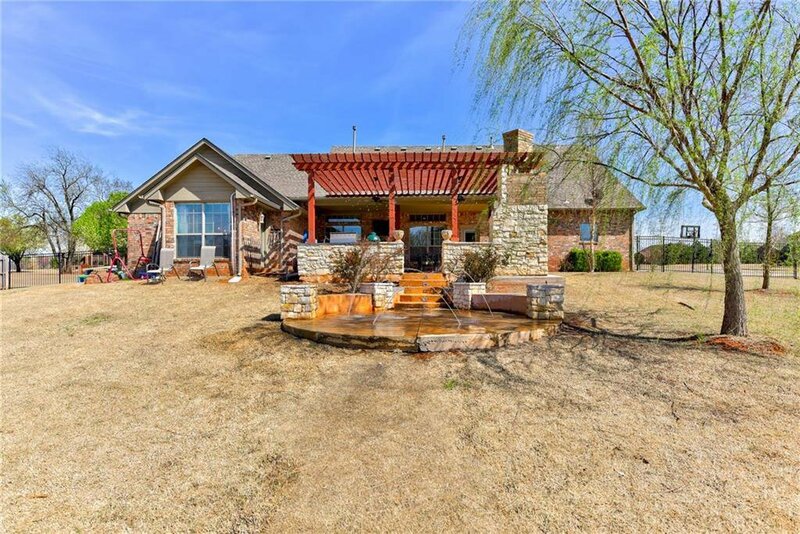 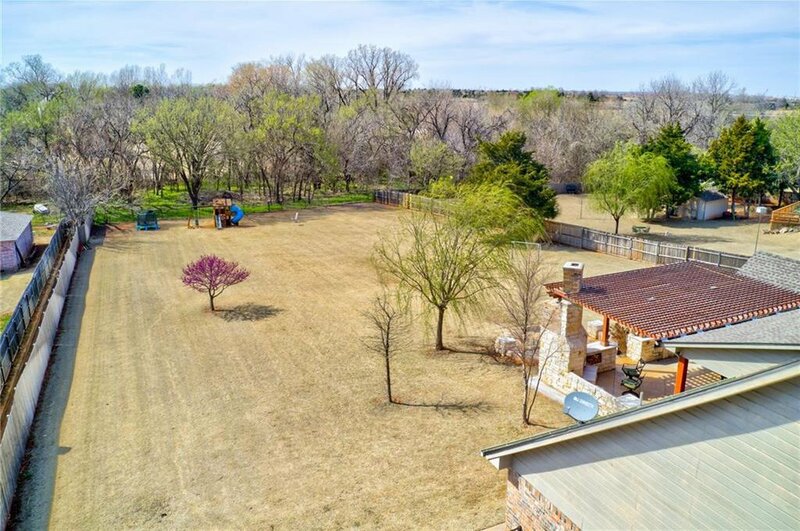 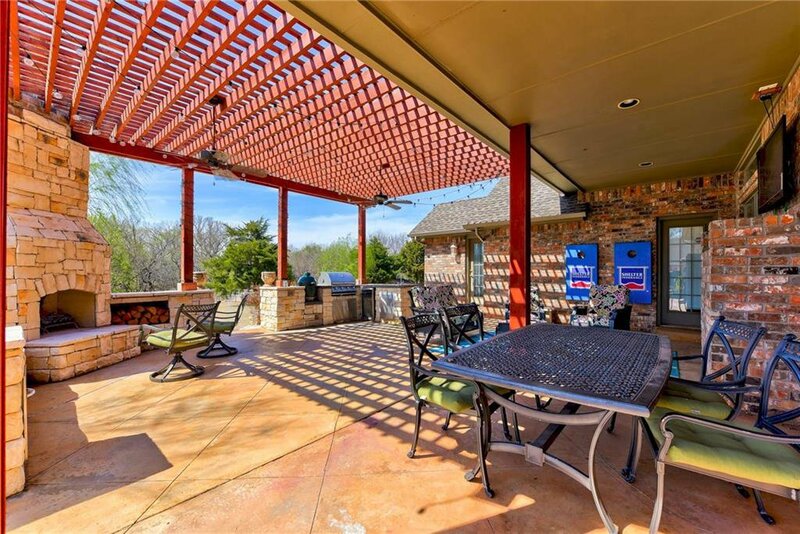 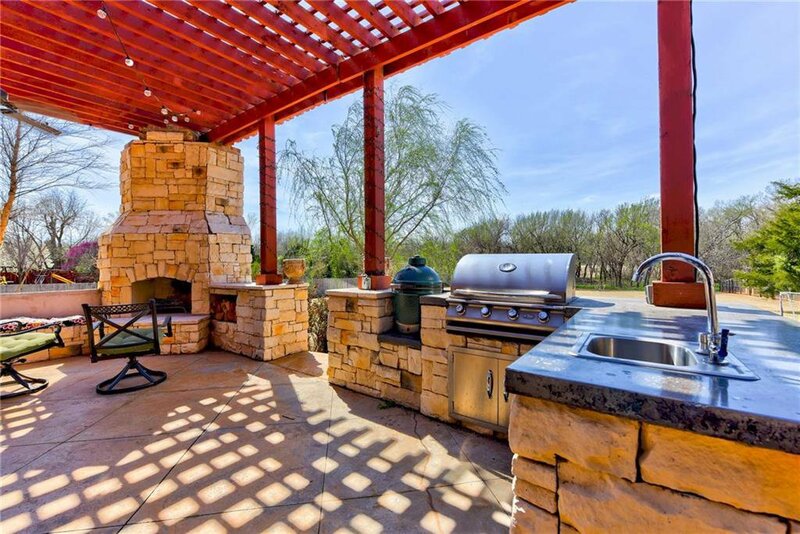 The back porch is spacious with an outdoor kitchen and plenty of seating space to enjoy an Oklahoma evening while overlooking the large lot and creek behind the home. 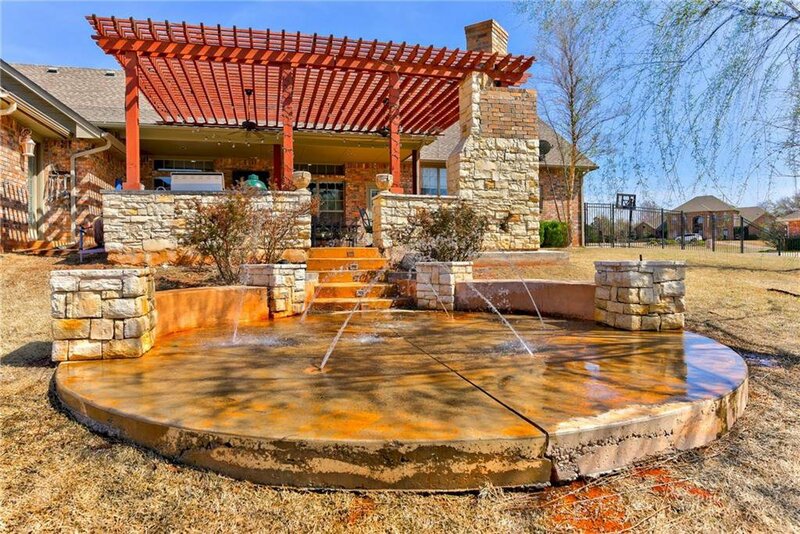 Follow the steps from the outdoor kitchen and enter the splash pad! 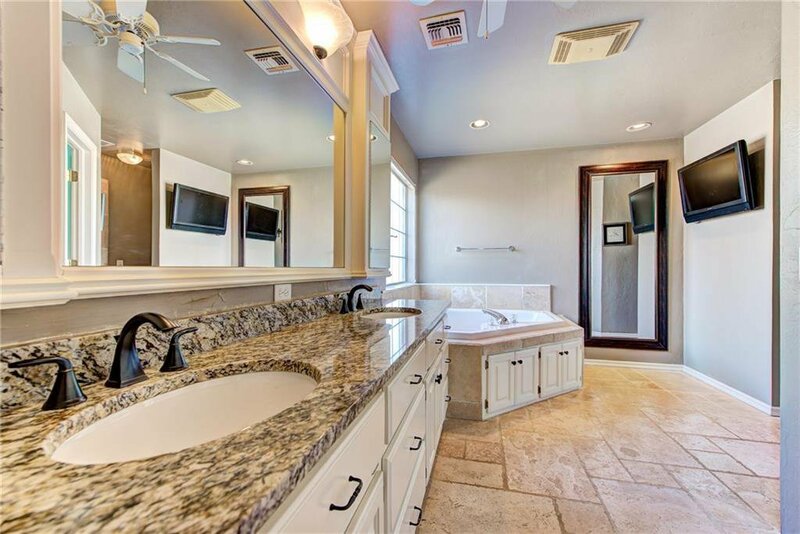 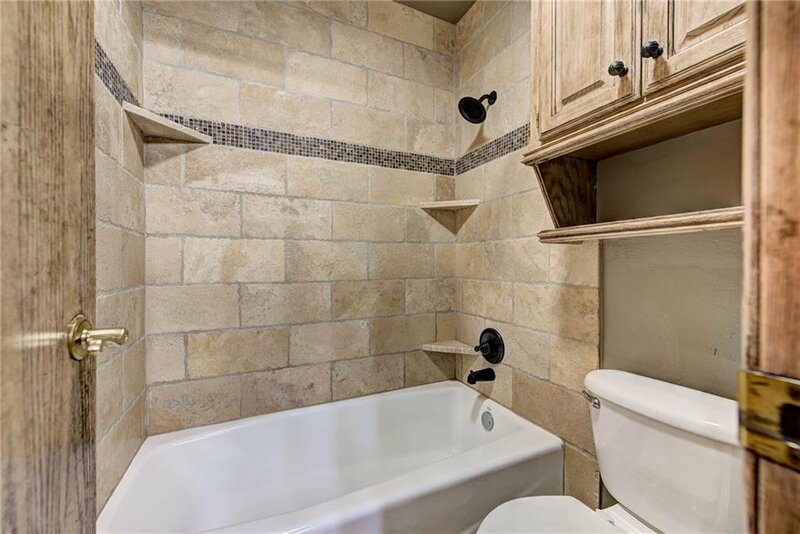 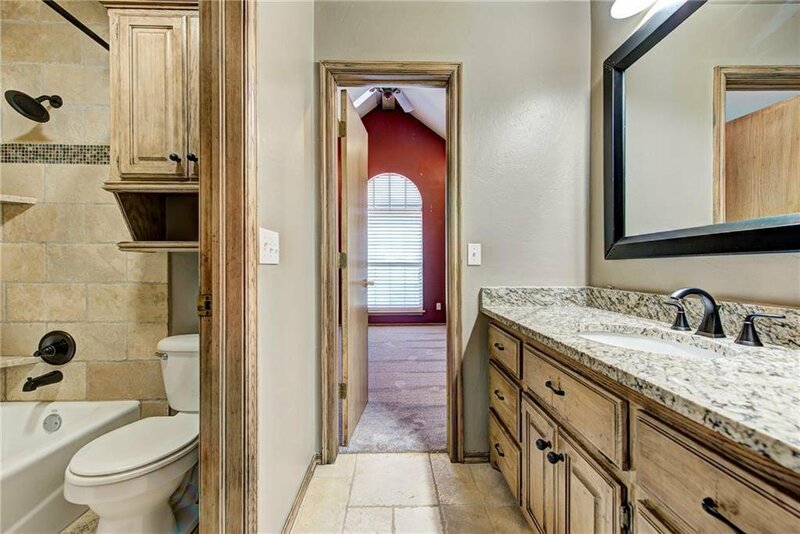 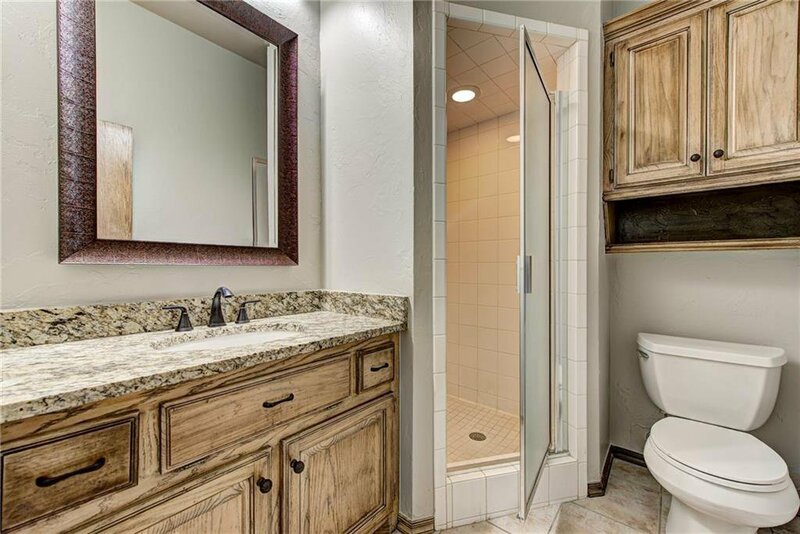 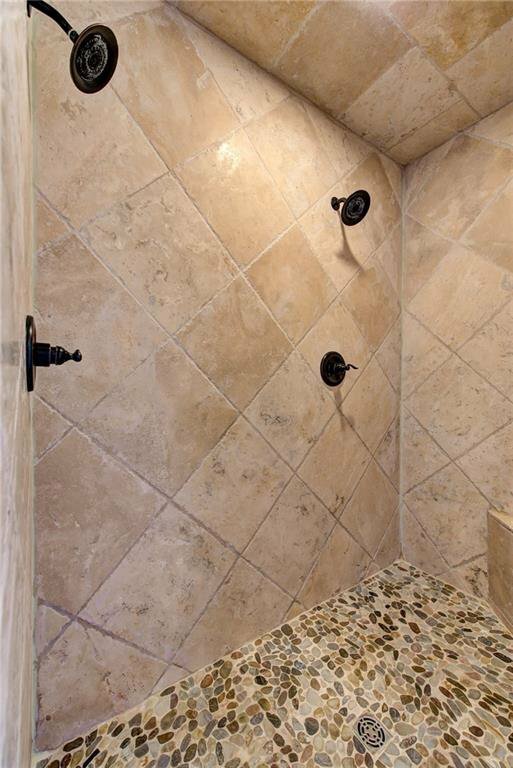 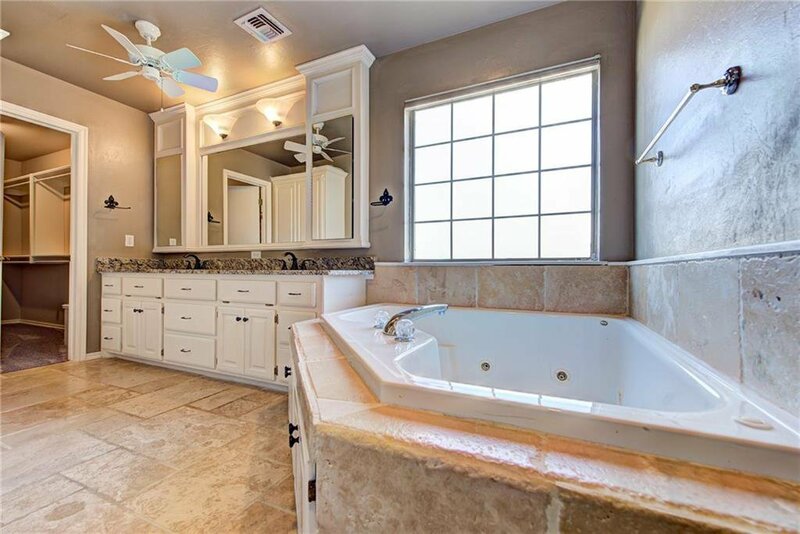 The master bath contains a large walk-in closet, plus walk-in shower with double shower heads. 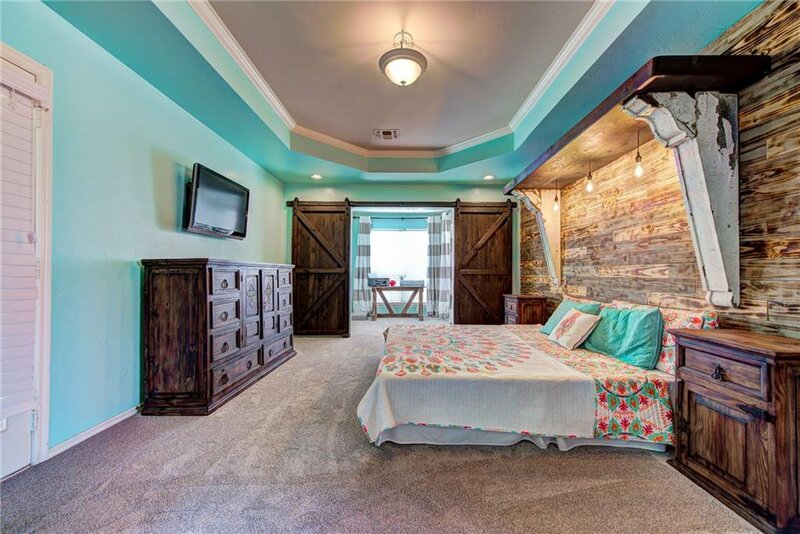 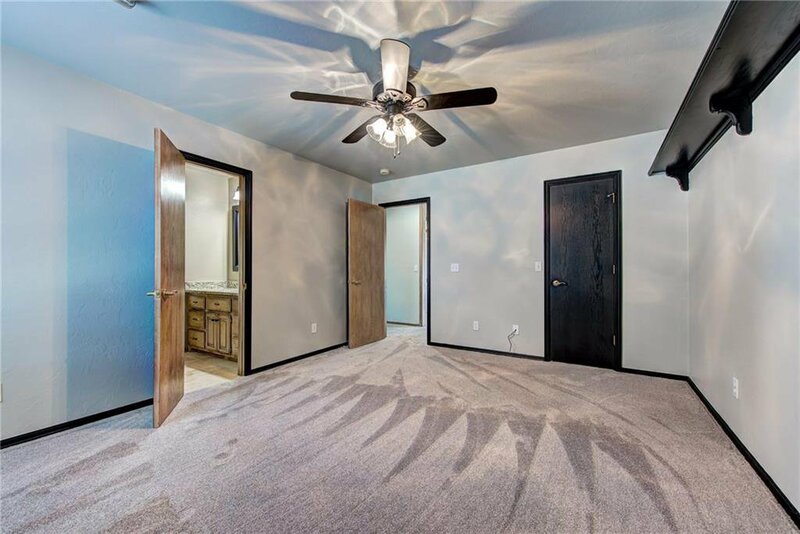 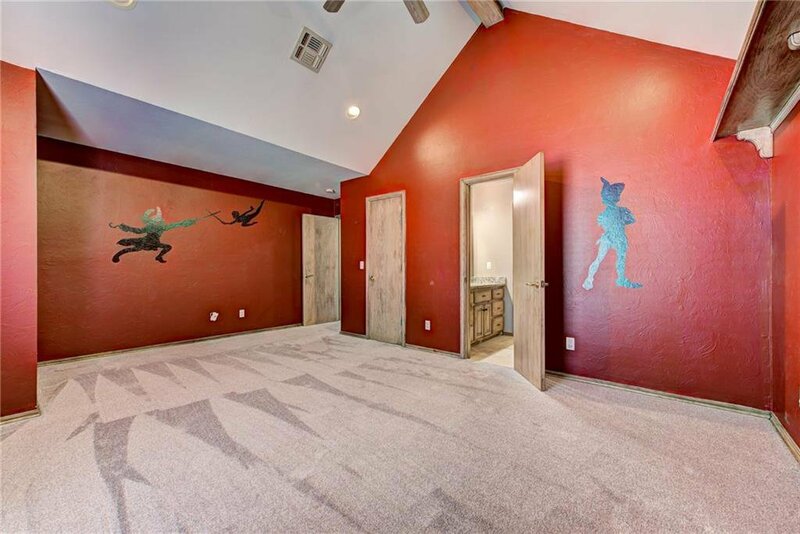 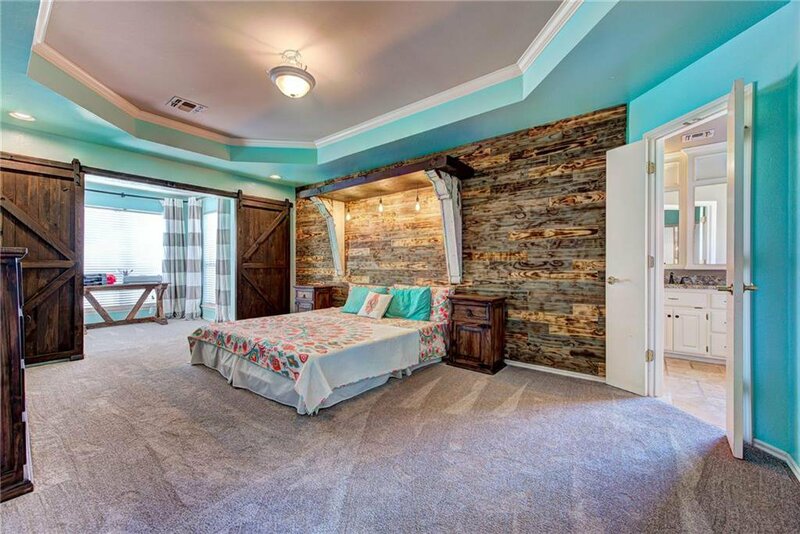 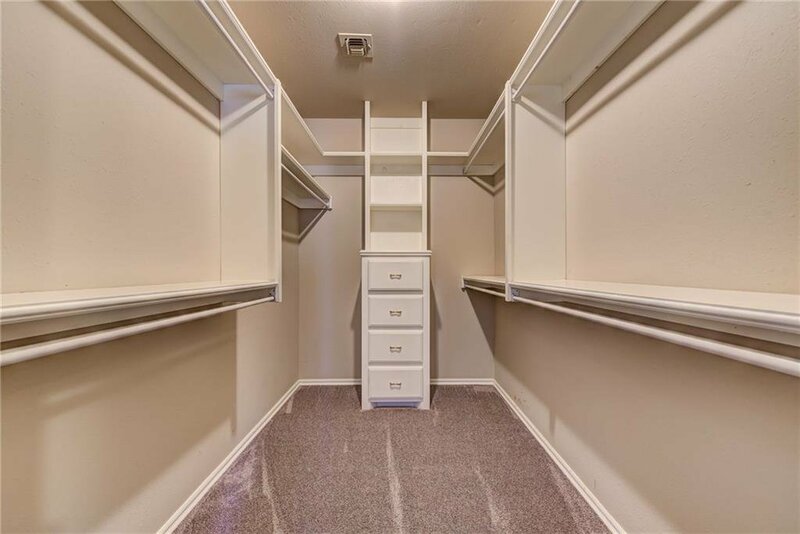 The other three bedrooms are all oversized. 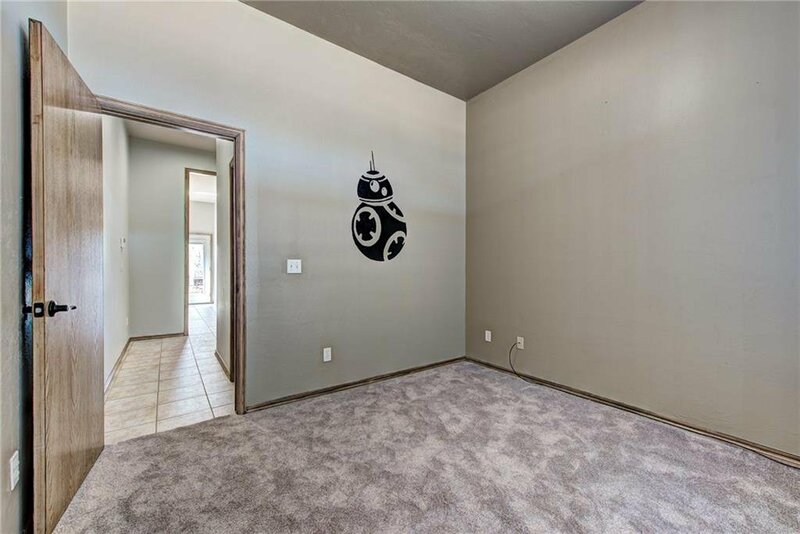 There are even more features than can be listed. 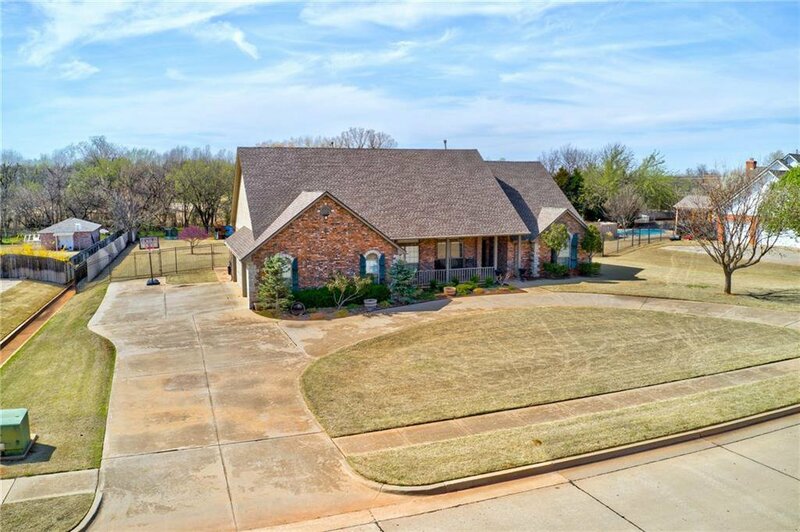 Check out the virtual tour video for an overview. 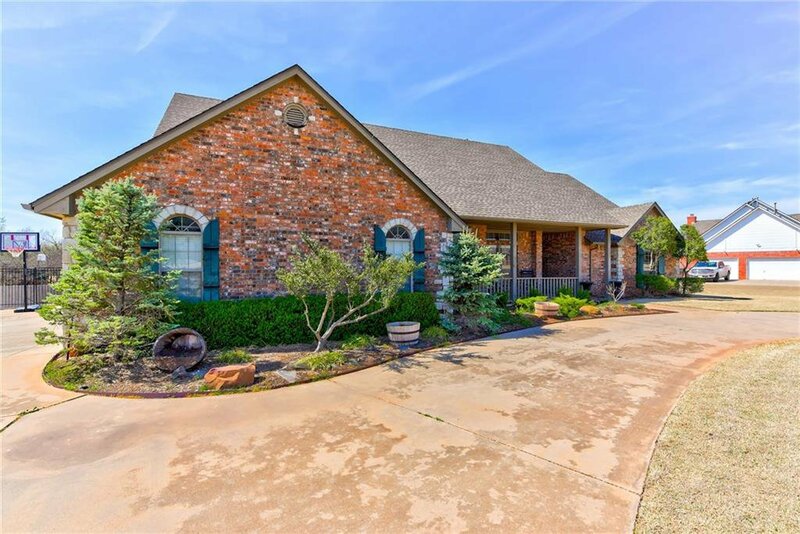 Schedule your showing! 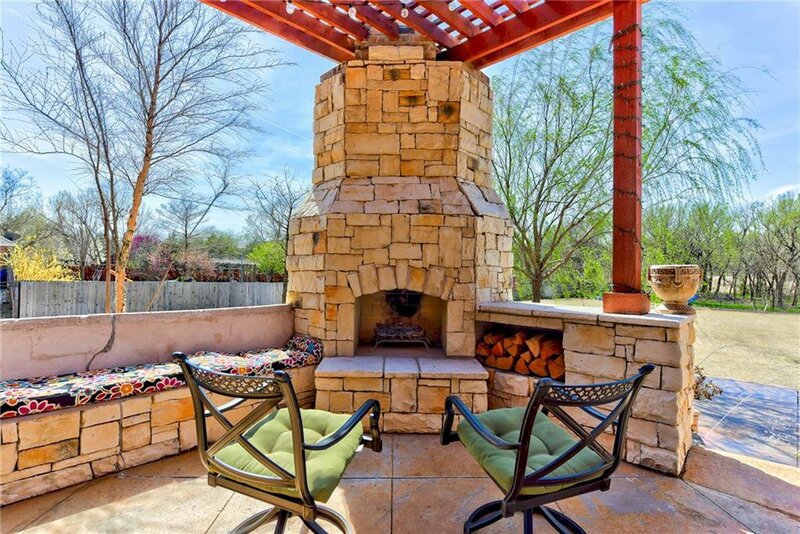 Courtesy of Brian Mullins and Rose Rock Realty.